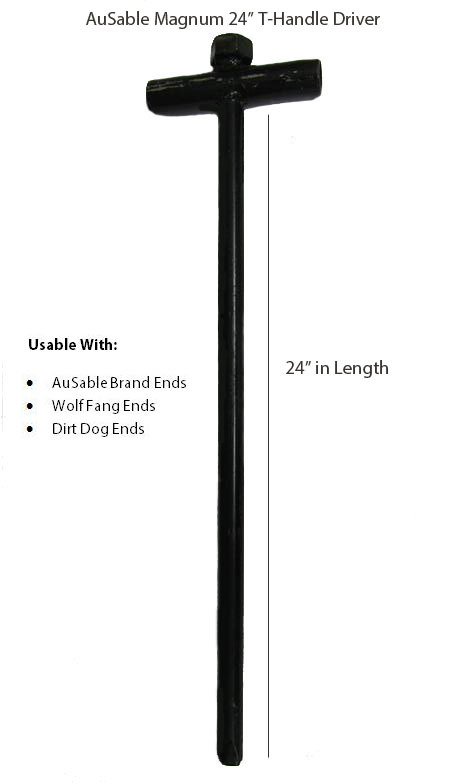 The Magnum AuSable Driver will fit both the AuSable Earth Anchors as well as the Wolf Fang Stake Ends. Driver is 24" overall length. From bottom of handle to tip is 21.75". The AuSable Driver Also works with Wolf Fang Cable stakes!